The apartment was comfortable and in a quiet part of town. The beds were okay but the fold out couch was a little short and only fit little kids. The kitchen was stocked with all the necessities to cook anything. There is an express grocery store around the corner from the apartment which made eating breakfast easy and saved money. Two separate bathrooms also made getting ready in the morning easier. We also got to store our luggage in the office on the last day and saved us 60+ pounds compared to other short term storage locations. Spacious apartment, good location, quiet neighbourhood, well equipped, large living room with plenty of large windows and sun light. It is just a disaster with guys, because they always offer you a different location while booking. The map function on Booking.com is for location selection! 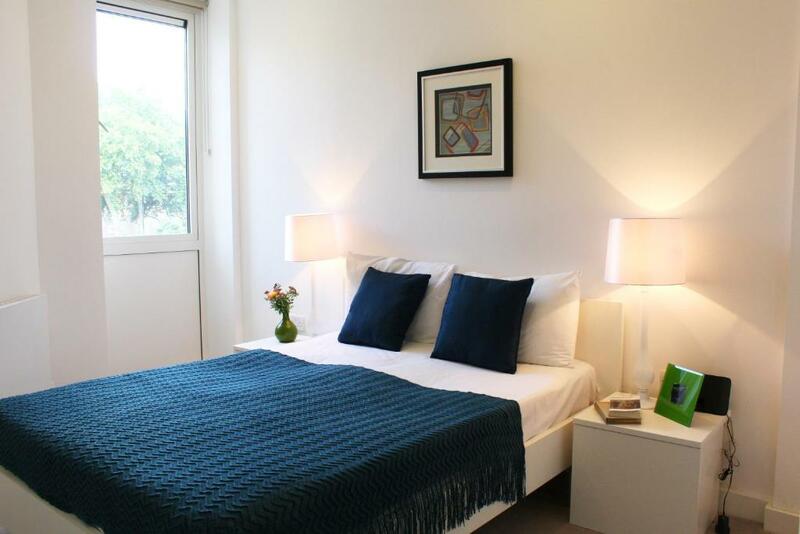 Clean and comfortable 2 bed apartment. Towels provided and decent amenities in the kitchen if you want to prepare your own meals. The flat was warm and in a great location close enough to the Old Street tube station. Location was great. Very quiet area with a very well stocked off licence over the road. Easy to get places by public transport or Ubers which were never more than a couple of minutes wait. Good access with lift and secure front entrance. Very warm place and beds were comfortable. Great location. Clean apartment with good facilities. It was quite clean, in a good neighborhood, and the wifi worked. It was a good price. The guy who gave me the keys was very nice and welcoming. Shoreditch Apartments This rating is a reflection of how the property compares to the industry standard when it comes to price, facilities and services available. It's based on a self-evaluation by the property. Use this rating to help choose your stay! 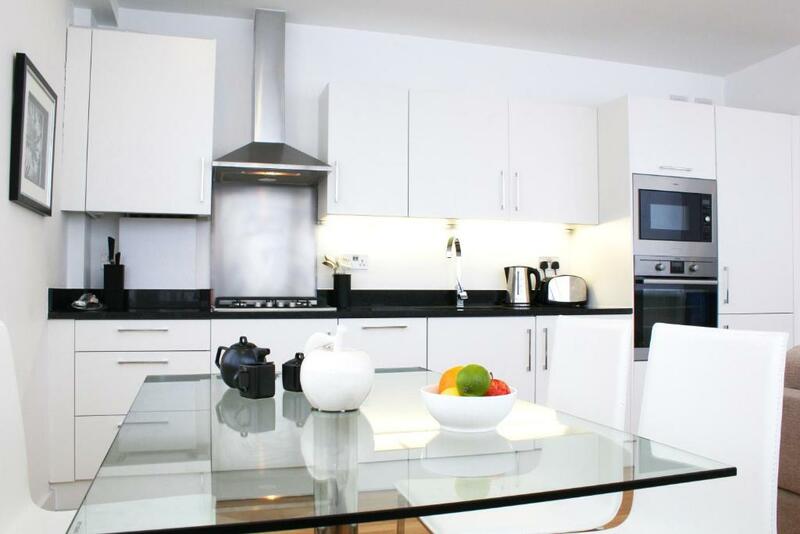 Located at different locations around East London, Shoreditch Apartments are fully furnished with a fitted kitchen and washing machine. Free Wi-Fi is accessible throughout the apartments. Shoreditch Apartments range in size from one, two and three bedrooms. Each apartment has a flat-screen TV with DVD player, kitchen with washing machine, oven and microwave and a sofa-bed for additional guests. The apartments are located less than 10 minutes’ walk from the boutique shop, pub and restaurant options of Shoreditch, Hoxton Square and Brick Lane. Oxford Circus, Covent Garden and other sights of Central London can be reached in under 30 minutes by public transport. Old Street Underground station can be reached in 10 minutes on foot and Shoreditch High Street Overground station is 1,150 feet away. Liverpool Street station is a 7-minute walk away, and has direct bus and train connections to Stansted Airport. London City Airport is a 20-minute drive from the property. 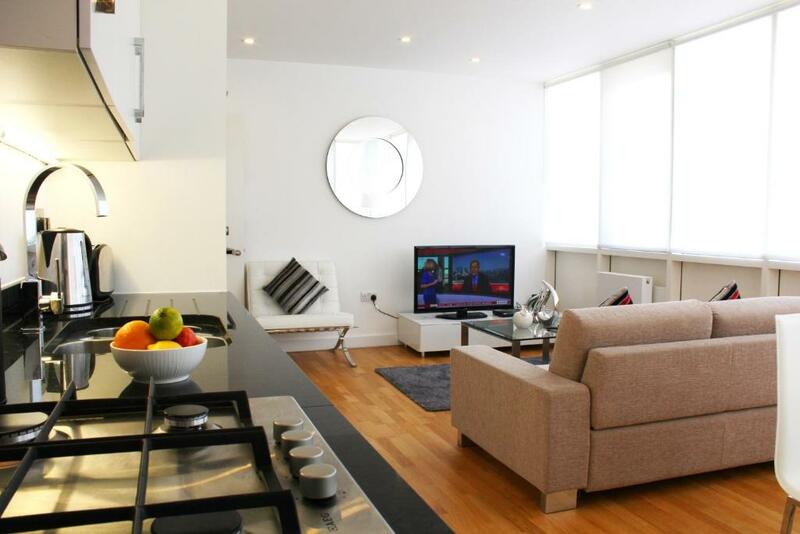 When would you like to stay at Shoreditch Apartments? This apartment features a kitchen with a washing machine, an oven and a microwave, as well as a flat-screen TV and free Wi-Fi. House Rules Shoreditch Apartments takes special requests – add in the next step! Shoreditch Apartments accepts these cards and reserves the right to temporarily hold an amount prior to arrival. A damage deposit of GBP 300 is required on arrival. That's about 389.32USD. You should be reimbursed on check-out. Strange smell (like fish) when we entered the first time that persisted all the days. We were brought with some freshair sprays, which didnt help. We discovered that the cleaning mop that was used was a very dirty and it was left in a small room in a corner. And the windows were not so good quality and we could hear the outside noise. Large rooms. Very close to.undergroound station. All that you need in the kitchen. Termostat to have the temperature you want. Collecting the keys at another location but it wasn't to hard to find the office. Service with a smile would help but I understand the stress the guy was in as the phone didn't stop ringing while we were there. It was an efficient service. No oven trays. We booked a fully equipped kitchen apartment so we could cook our own meals but difficult without oven trays. Could do with another couch as there were five of us and only a two seater. No dish brush or dishcloths. We had to purchase these. A couple of teabags/coffee bags and some sugar/milk would have been appreciated after a late night arrival. The check in place is so far from the stay. The COMPULSORY £40 extra fee is a shock after paying what should be a total amount via the booking site. Having to collect keys miles and miles away during office hours is also inconvenient: key safes are designed for this. I didn't like that on booking the photos shows that the apartments has a garden ( part of property) .....in reality there is no garden ....not even a Balcony ....th garden is beside the building but it's a public garden . Showed express check on the booking page but had to go to a different area in London to get keys. This was as published in the fine print but a hassle. As I was booking for business, it was inconvenient to have to pay cleaning fee in cash which seems unnecessary. Internet was on the slow side. And could do with another sofa. The keys were difficult to get. I wasn't told about the location of the keys being quite different from the apartment itself, until after I had confirmed my reservation, and I was unable to cancel my booking without losing my deposit. So, I felt a bit tricked. Also, the apartment wasn't set up as comfortably as I would have liked. Although there is a lift, but it's not working. No air conditioning only fan.